(FORT BENNING, Ga)-Members of the Fort Benning Family Advocacy Program in collaboration with PROJECT LAUNCH Georgia/Muscogee County and other organizations in support of early literacy amongst children read to children at various Child Development Centers on Fort Benning, Gerogia, March 2. The event also celebrated Dr. Suess birthday. 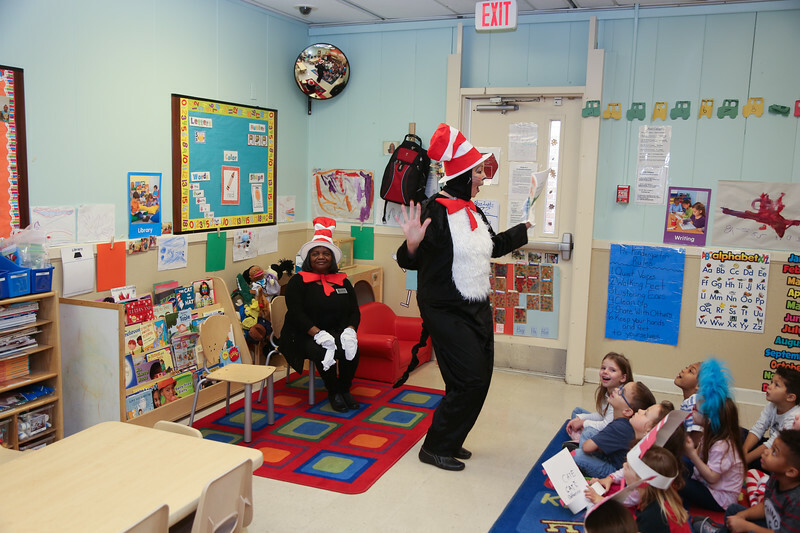 Each child was given a book and a Dr. Seuss hat. "Reach Out and Read to Children"